Martha’s Vineyard, it turns out, wasn’t the best place to launch the first offshore wind farm in the United States. Back in 2001, when Cape Wind Associates proposed installing 130 wind turbines across the Horseshoe Shoal, it cited the abundant renewable energy the installation would deliver to tens of thousands of homes. Those turbines, however, would have stood within sight of those same communities, which include popular tourist districts and the private compounds of the Koch brothers and the Kennedys. The issue of wind-turbine visibility is a peculiar one—after all, there are plenty of highly visible coal, nuclear, and solar facilities, compared to which wind turbines have a certain majestic grandeur—but it clearly contributed to sinking Cape Wind. After years of well-funded opposition, the project fell apart in late 2014. 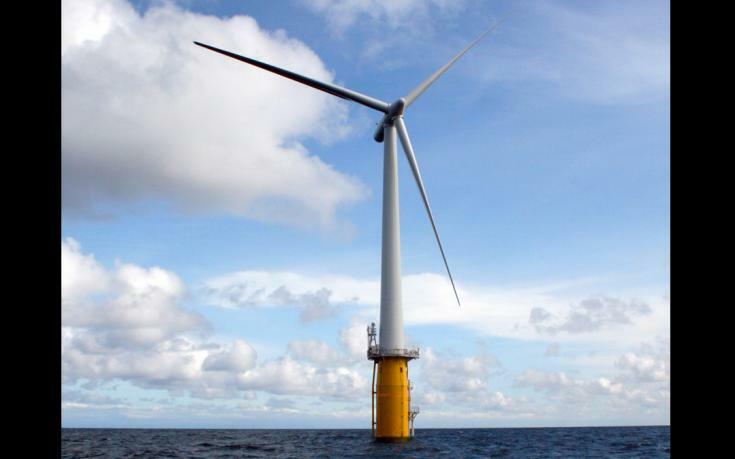 While the great wind powers of Europe—Denmark, Germany, the United Kingdom—were planting turbines at a furious pace in the shallow bottoms of the Baltic, the Dogger Bank, and the North Sea, the U.S. wind industry appeared dead in the water. This entry was posted in clean energy, offshore wind. Bookmark the permalink.